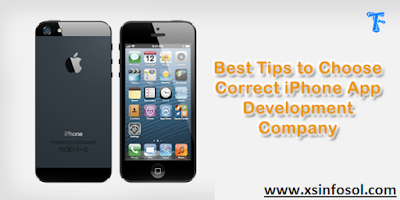 How Do You Choose The Best iPhone App Development Company? In a time when the world is sailing over the technological innovations, your enterprise could take a step ahead with a mobile application. New Smartphone and Tablet users look forward to the effective applications for buying products and services. Thus, the mobile applications are featured in the list of necessaries this time. Portfolio – Having a check at the portfolio lets you know the previous and current clientele managed by the iPhone app development companies in Bangalore. Besides, you can have a one-to-one conversation with their clients to know about their experiences with app development companies. This helps because you would understand that up to which extent the developers can go to realize your requirements. Apps – Their previously developed apps must have been registered with the iOS Store and other forums. Surely, the number of downloads and ratings give an idea about their popularity. But, you should rather install one or two applications to observe their functionalities and design. A best iPhone app development company would itself give you suggestions to observe some of their creative applications to verify. Communication – While competition is on the rise, you can become eager to get your mobile application, but these projects run at a stipulated time and you should wait for it. However, the company should maintain a regular communication channel to notify you with the progress made in mobile application development as well as gather your inputs and concerns in regards to the design and functionality of the application. Confidentiality – Those who don't know, the reputed companies maintain a confidential document control policy for the protection of customer IP and this is one of the most important things to notice about. With a secured deal, the customers can protect their concerns on disclosure of information. Thus, a company with a committed approach should be pursued instead of those who don't hold confidentiality as an issue for application development. Terms – As you hire any of the mobile development companies in Bangalore for developing an application, you demand the total ownership of the application and its content as well. So, you and the company should sign a contract that post development of the application, you become the rightful owner of it. Hence, verify these facts or any other apprehensions with the company very clearly. Prices – For every business enterprise, the application may vary depending upon the scale, scope and other aspects of the business. And, this reflects on the fees charged by the development company as well. Regarding this, the best iPhone app development company would give you a practical and uniform pricing structure, from where you can decide what is right for your business needs. Support – The best companies would always provide an excellent support for any kind of glitches incurred due to any reason. Most of the applications are beta-tested and verified for finding out flaws and evaluate their performances.